Happy New Year and I hope everyone had a lovely, relaxing Christmas! Semester 1 is starting to draw to a close here in Southampton, and us second year Healthcare Scientists have been busy over the break with our first piece of coursework due for submission in January. We have a lot more coursework to get to grips with this year, which suits some of us, whilst others prefer the more exam-centred first year. Our essay is all about the diagnosis of a cardiac pathology, so I’ve had hypertension and ECGs on the brain whilst eating my turkey dinner! Since the new year is a good time for reflection, I’ve picked out my most important things that I’ve learnt over the past year at university. I was pretty scared before I started my first placement in Portsmouth, but I’ve enjoyed it so much and learnt so much as well. If you need more evidence, you can see for yourself in my last blog all about placement. 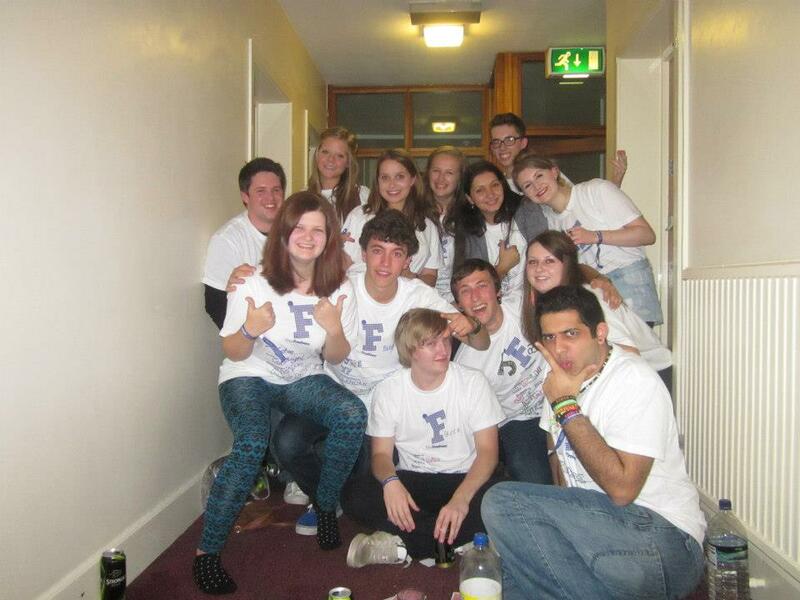 I now live with some crazy people from last year at halls, and I honestly wouldn’t swap them for the world. And because our course is so small (about 15 in my year) then I know everyone really well. There’s a group of us who get the bus together every morning, and it’s brilliant fun in lectures with everyone. It’s strange also how I now know some people from school or orchestra back home better in Southampton than I ever did before. 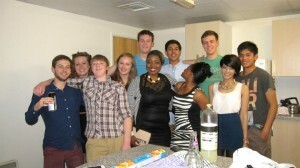 Friends really make your experience at uni, and I’m very lucky with mine. 3. A lot about the heart! Definitely true, and I guess kind of expected considering the course I’m on! I’ve learnt loads more about the anatomy and physiology of the heart (and the lungs) than I thought I would, and it’s great knowledge to impress everyone from home with… It’s a lot easier learning about something if you enjoy it, and I really love all the anatomy I get to learn. I was also pretty scared about coming to university itself, but this past year I’ve loved the lectures, made great friends and enjoyed the social side of uni too. I’m nearly halfway through my time at the University of Southampton, but I can’t wait for the rest of it, and am definitely not looking forward to leaving. I wasn’t awful at cooking before I left home, but the idea of having to decide what I was gonna eat, buy it and then make it was definitely daunting. In halls I was actually catered, so the real cooking starting in July, and I’m happy to report that I’ve survived so far, without any real kitchen disasters! I think I’ve come out of my shell a bit more at university, and this is mainly useful because I now find it so much easier to talk to strangers. You end up introducing yourself to so many different people in your first year, and that’s definitely helped on placement with making a quick bond with a patient you’re only going to see for half an hour. 7. Learnt to do a waltz! Let me clarify quickly – not a good one, really not even an acceptable one. I tried ballroom and latin dancing at university this semester, and it was so much fun. I got to feel like I was on Strictly Come Dancing for a few hours each week, and have learnt a few steps from a number of dances. Last year I was mostly in musical activities, such as the wind orchestra and concert band, and this year I’ve decided to join a choir instead! It’s a pretty awesome thing really, and something that we kind of take for granted sometimes. But seeing it from the inside, and meeting some of the hardworking nurses, doctors and allied health professionals makes me even more determined to work hard to become a cardiac physiologist. This is unfortunate for me, as physics really isn’t my thing. But learning about how each machine works is actually more interesting that I expected, and an important part in the process of a Healthcare Science degree. It’s surprising how things that you thought you’d never use from school come back around again. I had some of the best times from my first year in halls, and you get very close to the people you live with. Memorable moments include the boys introducing us to chair jousting and sellotaping someone to the wall, things that I definitely didn’t expect to experience at uni. University work is tough, and it definitely helps not to leave it all to the last minute. I’ve seen people leave an essay to the night before, and it’s not worth the stress. I also value my sleep too much, and the thought of pulling an all-nighter just to finish an essay doesn’t appeal to me at all. This happened to someone at our first attempt of taking blood pressures, luckily on willing subjects within the class. They’ve never really lived it down, and it’s served as a reminder to everyone to not do that – especially if it’s a real patient at the other end of the cuff! It starts to hurt pretty quickly!